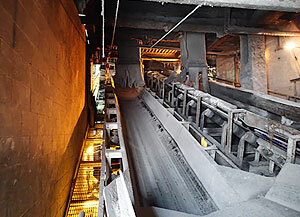 New England Mechanical Overlay has provided a wide range of services for the power, industrial, pharmaceutical, pulp & paper, and manufacturing industries since 2005. NEMO is an AMSE stamp holder with an unmatched standard of safety. When you’re working with NEMO, you have the advantage of their entire family of companies: New England Mechanical Overlay, NEMO Fabrication, and Harvard NDE. 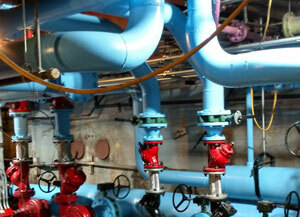 New England Mechanical Overlay can oversee your project from front to finish, from design to build. Offering a turnkey solution, NEMO is happy to manage the project from fabrication to rigging to installation. And NEMO provides peace-of-mind with their maintenance and repair services. 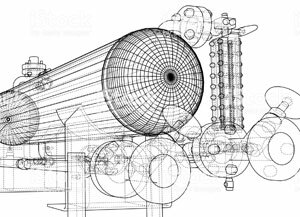 Whether it is a power boiler drum, heat exchanger, or water wall, NEMO has you covered when it comes to maintaining your high-pressure vessels and connected parts. Get on the schedule for periodic maintenance. If the support required is unexpected, our emergency road crew can get your facility back up and running as quickly as possible. 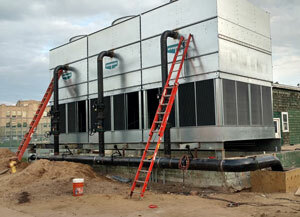 NEMO specializes in power piping, process piping, and non-boiler external piping. 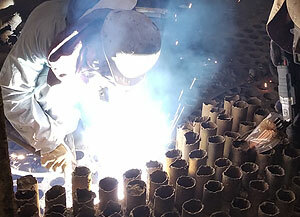 NEMO can repair or extend the life of process piping (that has been compromised over time by the pressurized flow of gas or liquids) by applying weld metal build-up using a variety of techniques and materials. Additionally, the NEMO Fab Shop is a 6,000+ square foot shop that can accomodate the high quality fabrication of piping, joints, and components. NEMO’s advanced rigging team provides the means to move any material in or out of any job regardless of the unique challenges. 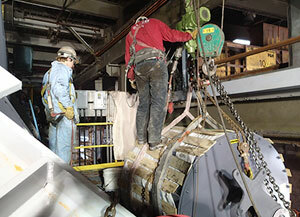 NEMO sets the bar when it comes to following the highest standards of safety for each rigging project they undertake. 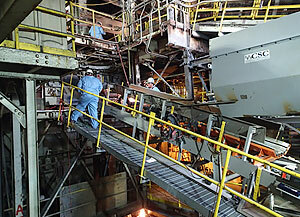 Whether your need is to install a conveyor system or drag chain, or to build an external truss to carry piping, NEMO provides high quality mechanical services from design to implementation. Wrench, ratchet, or rivet, NEMO’s mechanical team has your needs covered. Pieces and parts that can’t be built onsite will be fabricated at The NEMO Fab Shop, a 6,000+ square foot fabrication facility. It can be a unique welding challenge to repair or work on a heat exchanger, New England Mechanical Overlay has the experience and knowledge to repair and/or install your heat exchanger. NEMO’s sister company, Harvard NDE, can provide inspection, testing and UT profiles to help you understand the ‘health’ of your heat exchanger so that you can schedule your maintenance updates in a proactive manner. Cut out the middle man. When it comes to designing your tank or pressure vessel, NEMO has the ability to design and provide the fabrication drawings that meet your unique certification requirements with supporting calculations and material specs. NEMO’s reputation for quality work and high safety standards doesn’t end in the field, in fact, it starts on the drawing board. Our knowledge of code and experience in the field bring an expertise to the concept and design stage of any project. 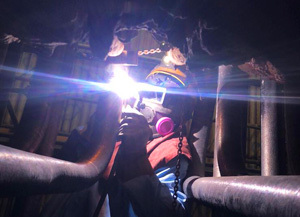 The NEMO Fabrication Shop is a full-service welding fabrication shop specializing in design, building, installation, and repair of industrial tanks, vessels, and piping. Not looking for a tank project? 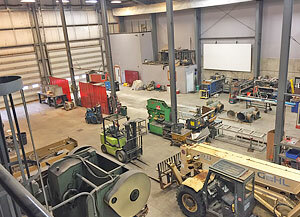 The NEMO Fab Shop can also accommodate unique custom welding projects in their 6,000+ square foot building in Pittsfield, New Hampshire. Visit the NEMO Fab Shop website. The NEMO Advantage is also what makes them completely unique in the industry. NEMO’s family of companies, New England Mechanical Overlay, NEMO Fabrication, and Harvard NDE, provides you with everything you’ll need for a complete turnkey project including: design, fabrication, delivery, installation, testing, examination, and maintenance. These services, combined with the best safety record in the industry and a team of experienced and knowledgeable certified welders, make up the NEMO Advantage.